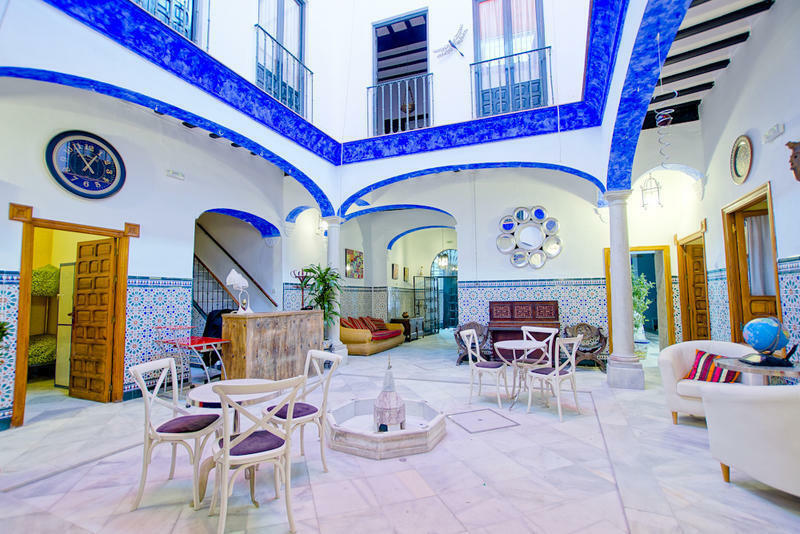 In the heart of Seville, Trotamundos hostel is a dream coming true.it is a spacious and comfortable place to visit Seville. 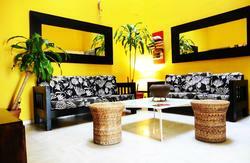 The hostel has been built in a typical palace house.It keeps essence and it is very comfortable and warm. We have a furnished kitchen and a lounge with a big t.v screen and comfortable sofas,wifi,air conditioner and heating,self service installations..etc.Choose different kind of bedrooms and prices we have got very comfortable mattress and bunk bed with bed liner. 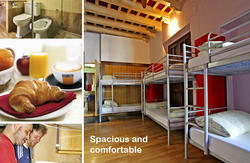 Each room has got lockers and shared toilets.if you want we offer rooms only for woman. 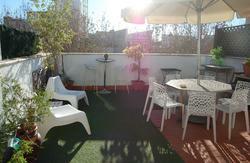 Special Conditions for Easter and Feria de Abril: Cancellation policy 7 days. If failed to cancel 7 prior arrival, 50% will be taken. 5. Continue along Calle Arjona. 8. Continue along Calle San Pablo.